I'll probably add a phone app eventually for some basic configuration, control, and independent data logging. If any of these specs look familiar, like you've seen them on other products, that's no accident. Like I've said, I've done a lot of reading and I like my home made toys to be the equivalent, or better, of existing commercial products. I'm currently working with components on a protoboard, but most of the firmware is complete. The desktop app is also mostly complete. As I add and tweak features both firmware and software get tweaked to match. See the blog for pictures/screenshots. I'm also in the process of finalizing a schematic and will be doing board layout soon. I'll be doing a prototype run of boards and hand assembling some units for testing and eventual personal use. It has been suggested by friends and family that I should sell this thing as a commercial product. Is there any interest in this community for such a device? Can anyone suggest other communities that might be interested? I haven't come up with a pricing model for this thing yet, or even a name, but I was hoping I could keep the retail price competitive with other products that do far less. If there's enough interest, I'd probably do a Kickstarter or something with a target of 100 units to get started. If no one wants something like this, I'll just use the prototypes for myself and keep quiet. Will follow your project with interest as I'm on the lookout for similar. Subscribed to your blog. While subscribing to the blog gives me your email address, I don't think you automatically get notified when I post new content. I'm not sure if you're expecting that. I'm new to the blogging thing so we'll see when the next post goes out tomorrow. The main reason to subscribe is so I can send more important updates like if I ever do a kickstarter or something. I've started researching OBDII more intently. I'm going to try to implement support for at least the CAN bus versions, but I may also try to add support for ISO14230-4, which uses the K-line. One of the biggest problems I'll have adding all this stuff is finding a way to test it. I may have to pick up a OBD emulator or something. Get a chip that does all the OBD-II protocols, if you already don't have one, possibly STN1110 for best performance? Obviously you need to test everything too. That's an interesting idea. I was planning on doing it all myself on the MCU since it already has built-in CAN bus and plenty of resources. Adding the protocols is really just some coding (and testing, of course). I was shying away from adding yet another chip to the project as I was also originally shying away from adding ODBII support, but alas, ODBII certainly opens up a market if I decide to go commercial. I'll have to do more research into OBD dedicated chips. Thanks for the reference. There's also the ELM327, but the STN1110 is cheaper, faster and better. I'm pretty sure it takes quite a lot of time to develop it by yourself! Maybe that time is away from the actual development? @frdfsnlght other than CAN many of your specs look like my internal project. Will pop over to your blog and do some reading. Is this going to be something you work on alone? Or is it going to be publicly available code etc? I am working on V3 of my data logger. GPS I use https://www.tindie.com/products/smokingresistor/venus838flpx-gps-breakout-board-50-hz-update/ with an external antenna. Using BNO55 IMU as its onboard angle calcs removed needed processing power in my logger. Plan to start testing soon the counter functionality of the ESP32 with the hope it will provide wheel speed and RPM capabilities. Then I want to see if I can create 3 IR sensors per module to point at the tire for IR temp readings. Better would be wireless tire pressure readings but that's on future list. I have RFCOMM/SPP working in IDF already. I found the Arduino IDE a bit lacking and like some of the freedom of IDF (and Eclipse) vs Arduino. I was using Arduino as a component in IDF for a while but have removed that after some i2c adjustments. I am just starting on the same project. I was planning to use a Mega, from your experience is it not up to the job? Sorry for late reply but @coxylaad I found that an Andruino Mega was not up to doing fast updates as well as GPS and BT. I got to 10/s readings of TPS plus the GPS. But trying to add more sensors I started to get into issues timing wise. For my Kawasaki Z750r (2012), I built a K-Line (KDS) compatible adapter, which "speaks" OBD II. It was enhanced to Suzuki (SDS) for my GsxR-600 (K6), which is also ISO 14230, but a different approach to receive values like RPM, speed, gear and stuff. indeed you are limited by ISO 14230. Minimum time between requests is 100ms. But there are a lot of factors involved. I reduced it to 55ms, but then the ECU will take 75ms to respond. All in all I got it working on my Kawasaki with 120-200ms per message, which resulted overall in 7 messages per second. The Suzuki is different, you will receive all values (RPM + Speed + Temp + Pressure + ect.) at once and you could store the request temporary. This takes longer, because the message is longer. But then you can answer the RC requests from you storage. The refresh period will remain the same, but the amount of data increases a lot. 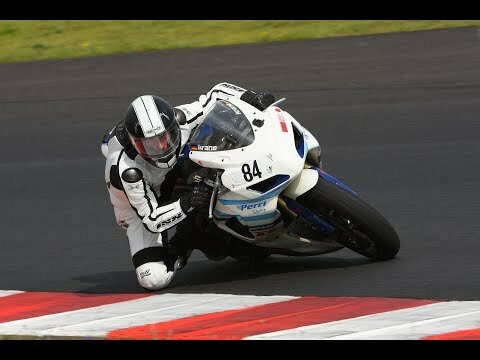 @TriB - I now have a 2009 ZX-6R track bike so I am looking into KDS and other alternatives. I wish I could get data faster than ~7 Hz. I am considering using a microcontroller and counting the signals for TPS, RPM and Gear position directly. But then was looking at the wiring diagram for the bike and there is are 2 pins of the KDS connector going to the ECU. I am wondering what the 2nd signal wire is. Also pin 17 of my dash connector is listed as "ECU Communication Pulse". No other pin is listed as gear indicator but the dash shows the gear. So I am wondering if there is a CAN or other bus happening that might provide data faster. If all I get from KDS is 10Hz or less I think I will go directly to the signal. KLine always has two connectors. The other is the L-Line, which can be used for an initialization process, which I do by software (FastInit / SlowInit). Off course it would be a possibility to "hack" to your tachometer, which receives speed, rpm, fuel, gear and stuff more or less instantly. AFAIK, you can get those signals quite easy, like 3rd party tachometers. No CAN but voltage related. I read about other Arduino projects, which cut the wires and attach a datalogger. But as far as I use my solution for the race and street legal bike, it was no option for me. What PIN 17 does... I don´t know. I guess the error numbers have to be transferred to the dash somehow, either. Maybe there is some kind of a protocol, but not CAN. I guess it could be a nice solution, to combine both attempts. KDS for slow things like temperature, RPM & Tacho (which let you calc the gear yourself) via tachometer. @TriB I agree with the no CAN, I did some poking around as well on lines. I don't care much about the slower stats like temp. I am more interested in RPM, Gear and TPS and I would like to get them closer to real time. I will soon be putting the bike away for winter months (so wife can have the garage when snow comes) but my current plan is to not use KDS and instead feed TPS, Gear and RPM signals into my MCU and log from the source signals. Are you using ESP32 for bluetooth? With the libraries I've tried for BLE with it it's been very unstable compared to rock solid BLE with nRF52832-based boards. Interested if you have found ways to get BLE with ESP32 stable!